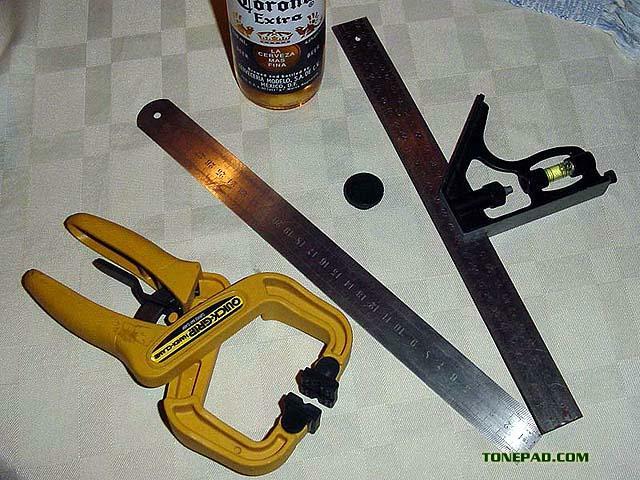 Of course you can buy a center finder at the hardware store for very cheap, but how often would you use it? This photo essay shows how to make one with common tools, it may save you the time/gas needed to go to the hardware store. Ruler (square on one end). Clamp (can be most any kind). Cylindrical object with unknown center.